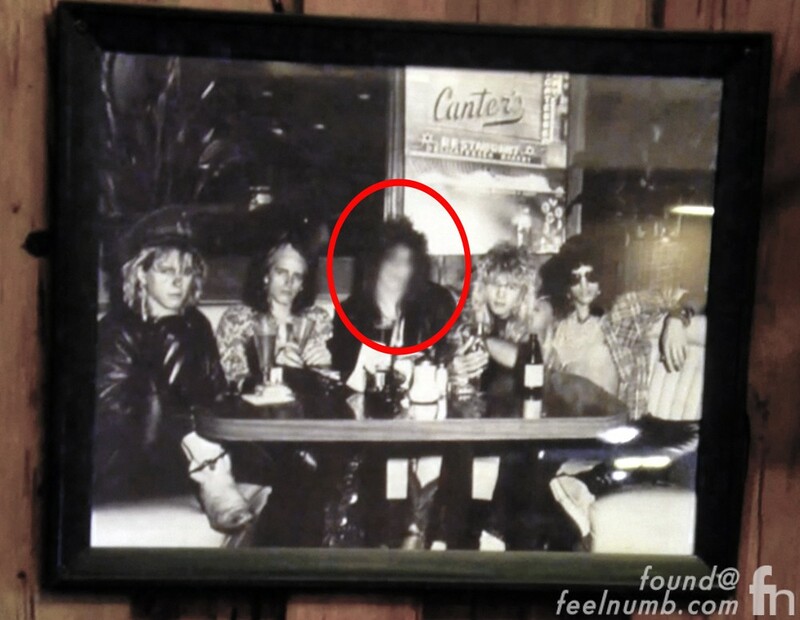 While watching the new Slash documentary “Slash Raised On The Sunset Strip” about the rise of Slash and stories about his time in Guns N’ Roses I noticed a familiar photo but with a different look. 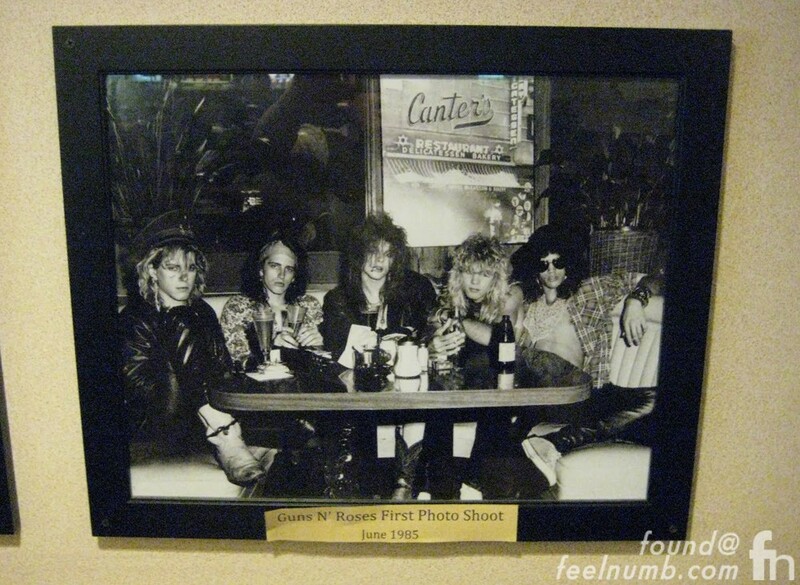 In the documentary they talk about the first band photo taken of the original Guns N’ Roses line-up sitting at a booth at Los Angeles’ famous Canter’s Deli. 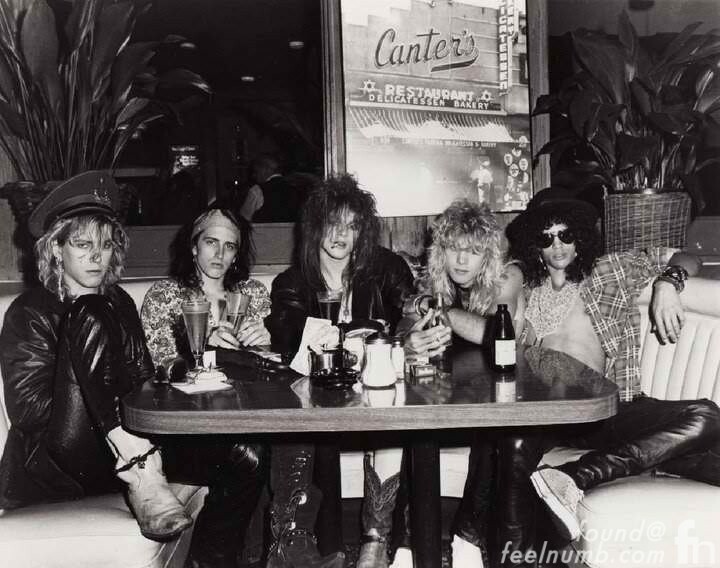 From left to right, Duff McKagan, Izzy Stradlin, Axl Rose, Steven Adler and Slash. I wonder if this “blurring” was at the request of Rose or blurred by Slash and the producers to avoid Axl somehow suing them. Can’t we all just get along?? ?